Omega CRO established in 1997, shares its experience with researchers and institutions over 20 years. Omega CRO ranked among the Turkey’s Top 500 Service Exporters according to the “Turkey’s Top 500 Service Exporters” 2015 and 2016 survey conducted by the Turkish Exporters Assembly. Omega CRO conducts over 50 mid-large size project every year. Omega CRO supports Turkish investigators for their medical writing and statistical needs on 400 investigator initiated trials every year. Omega is the first and only clinical trial specific depot that won a tender to store and distribute Ministry of Health project. OMEGA CRO is the first CRO in Turkey (Contract Research Organization) that provides high quality clinical and epidemiological research management to national and international pharmaceutical companies and other health-related organizations. Omega CRO, founded in March 1997. As Turkey’s first CRO, we support your clinical research projects at each step. With our experienced team we provide the real life data for the industry. Nearly half a million projects at our field we made we are able to support the researchers and the professional associations. We provide services such as protocol design, final study report, article writing, poster designing and also any medical writing needs. With our experienced team, we provide data management and statistical support to the investigators and sponsors. Over the last 5 years, research methodology, statistical analysis and presentation of scientific education trainings were given over 4,000 physicians. 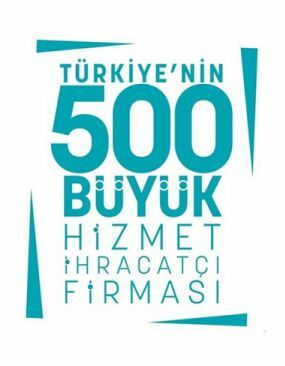 Omega CRO 2015 Yılında Türkiye’nin İlk 500 Hizmet İhracatçısı Listesinde Yer Almaktadır. Türkiye'nin 1997 yılında kurulan Omega Araştırma, sağlık ile ilgili araştırmalarınıza size destek vermektedir.